Facebook has built a technology that not only allows it better understand users, but also help them connect with the people they're most interested in on the social network. The company announced yesterday that it has built what it's dubbed DeepText, a deep-learning-based engine designed to read users' posts and comments with what Facebook says is "near human" accuracy. DeepText, according to Facebook, can read and understand several thousand posts per second thanks to its deep learning capabilities. Deep learning is a branch of machine learning based on layers of artificial neural networks. "This is a very good use of machine learning," said Dan Olds, an analyst with The Gabriel Consulting Group. "Training a computer to understand not only individual words, but also the meanings of those words when coupled with slang terms, is a very large achievement and one that will open plenty of doors for the company." Being able to better understand what people are writing should help Facebook get a deeper understanding of its users -- and offer them more interesting content and ads. "Text is a prevalent form of communication on Facebook," Facebook wrote in a blog post. "Understanding the various ways text is used on Facebook can help us improve people's experiences with our products, whether we're surfacing more of the content that people want to see or filtering out undesirable content like spam." Artificial intelligence increasingly will be used in the next several years to help companies communicate with users, said Jeff Kagan, an independent industry analyst. "Increasingly, all companies will jump onto the A.I. bandwagon," he said. "Of course, the other side of the coin is that this is creepy to many users, especially in these early days. But this is what an industry-wide transition looks like." Facebook noted that it already is testing DeepText, which can be used with 20 different languages, on Messenger to understand when users want to do something like going somewhere. "DeepText is used for intent detection and entity extraction to help realize that a person is not looking for a taxi when he or she says something like, "I just came out of the taxi," as opposed to, "I need a ride," the company wrote. 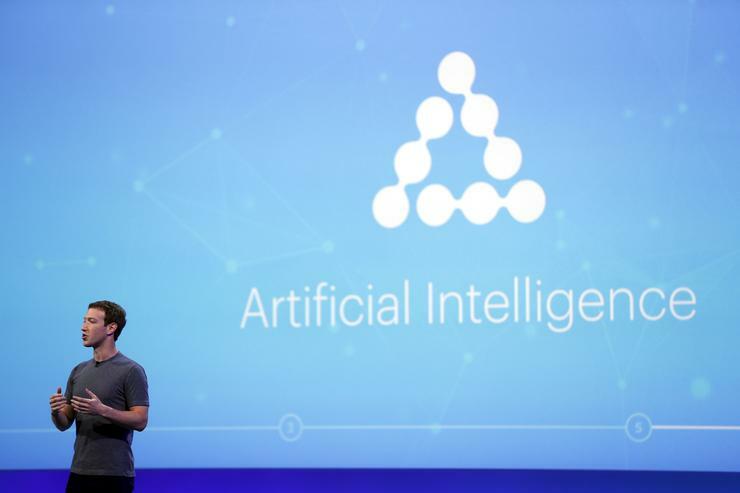 The machine learning technology also is being used on Facebook's main website to help users find tools that might help them. "For example, someone could write a post that says, 'I would like to sell my old bike for $200, anyone interested?' " wrote the company. "DeepText would be able to detect that the post is about selling something, extract the meaningful information, such as the object being sold and its price, and prompt the seller to use existing tools that make these transactions easier through Facebook." Olds said users should begin to notice a difference now that DeepText is being used. "Facebook users will notice that their searches will bring back richer results and will categorize results with much better accuracy," he said. "I would also expect that users will be able to more easily find people and pages on Facebook that better line up with their interests. And with this tech, Facebook will be able to understand much more about their users than ever before." And by better matching ads to Facebook users, the company can get higher ad rates than before.